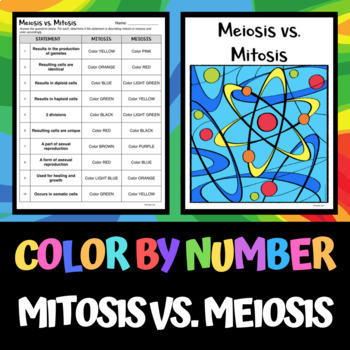 10 multiple choice questions in which students differentiate between mitosis and meiosis. 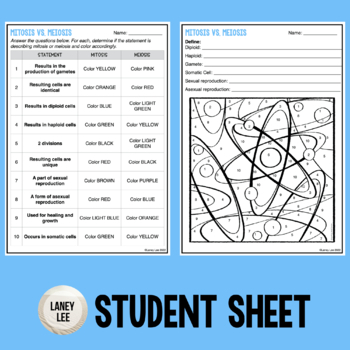 A great activity for early finishers, homework, differentiation, or as a easy to check assessment. Includes fully editable version as well as a ready to print PDF. 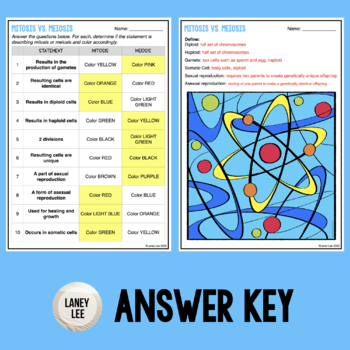 Brighten your classroom with more Color by Number worksheets or purchase my Cell Cycle Bundle for a great discount on this and many other resources to support your unit!